We asked our Co-founders Aaron and Adrian some interesting questions on business, travel and innovation. Here is what they had to say! Aaron, we know you travel a lot for work. So, what are your biggest tips for jetlag? Aaron: I don’t have any… I still get jetlag no matter what I do . I try to stay awake on arrival by getting out of the hotel room and walk around in the sun. With that being said, I’ve been known to have a quick nap if I’m really zonked. Travelling from Australia to North America is worse than the other way around. It takes me a couple of days to get into the time zone. Good coffee helps! When visiting clients abroad, do you find you need to adapt to their culture? Aaron: Always, and even within the same country. All clients are different, culture is just one aspect you need to navigate. My focus has always been on ensuring that our values are aligned. Product development is such a long term and in many respects personal activity. You need to ensure that you can work together effectively and enjoy the successes along the way. Adrian, we know you are fluent in Spanish. What are the biggest benefits you have found from knowing another language? Adrian: Spanish was very important for doing business in Spain and South America. This is because developing a personal relationship is so intrinsic to establishing a working business relationship. In general, learning another language always helps you to learn about other cultures and traditions. This in turn tends to give you a better understanding of how the world works. Would you recommend others to learn a second language? What are your biggest tips for learning another language? Adrian: Immersion is the only way you will ever really get to know another language. My biggest tip would be to just move to another country where English is not widely spoken. The only other tip is to keep learning for fun. If you find a way to learn in a social setting, you are much more likely to keep at it. Do you think innovation in Australia has changed over the past 5 years? What is the biggest lesson you learned since starting a business? Aaron: Starting a business is a lot of hard work, longs hours, and can be quite stressful – but it is also very satisfying to know you have built something successful and in your vision. You need to surround yourself with great people in the right roles, this allows you to focus on building the business and less on operational aspects. What is the least understood aspect of product development? Adrian: Cost and time… It always costs more and takes longer to do product development than most people realise, especially when hardware is involved. What is one re-occurring questions clients have? Aaron: That’s easy! How long will it take to build my product? How much will it cost to develop? And how much will it cost to manufacture? Very financially focused questions, which I understand as funding is always front of mind and they need this info to ensure they have a viable product. But there are more important questions to ensure our clients can build a sustainable business, which very few have a good grasp of. They are… Who are the customers? Why would they buy the product? How much are they willing to pay for it? What do we offer clients on a personal basis that our competitors do not? 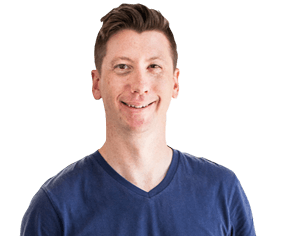 Aaron: We offer a personalized service with a very experience engineering team but a big difference is that we understand how to build a business. What it means to bring products to market. Many of the senior manage team have built one or more businesses, raised funds and have real-life experience. We help customers answers some of the above questions before they jump into development.